Do this with your spinach, and love it. Spinach. Food of the gods. Popeye’s power boost. Buy it at the grocery store, farmer’s market, or grow it in your own back yard. It’s a dark, leafy green which puts it at the top of the priority list for foods to definitely eat, often. 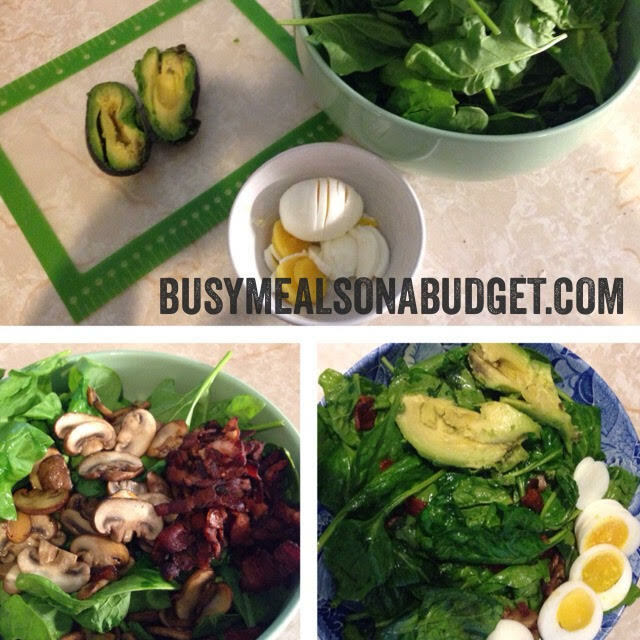 It works great in green smoothies, but that’s a blog post for a different day. Today we are wilting it. Seems odd, doesn’t it? We go to great lengths to NOT let our greens get wilty. 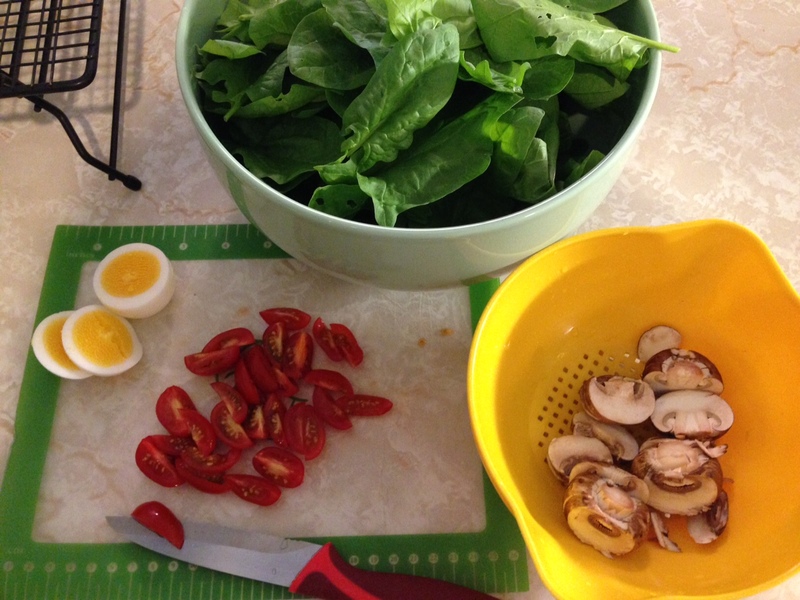 The cool thing about spinach is that it’s really good wilted. If it’s done properly, it’s tasty and easier to eat. Spinach has a high water content so it wilts quickly and reduces in volume, a lot. This makes it simple to get a day’s worth of veggies in one meal. Spinach: the efficient green. –It’s a time-saver to cut the bacon into bite-size pieces first. Put them into a COLD skillet, bring the heat up, and fry the bacon until it’s as crispy as you like. Starting the bacon in a cold pan causes less shrinkage. –I like creminis (baby portobellos) because I’m not a big fan of mushrooms. It’s a texture thing. These are “meaty” tasting and look a bit like meat when chopped. 1. 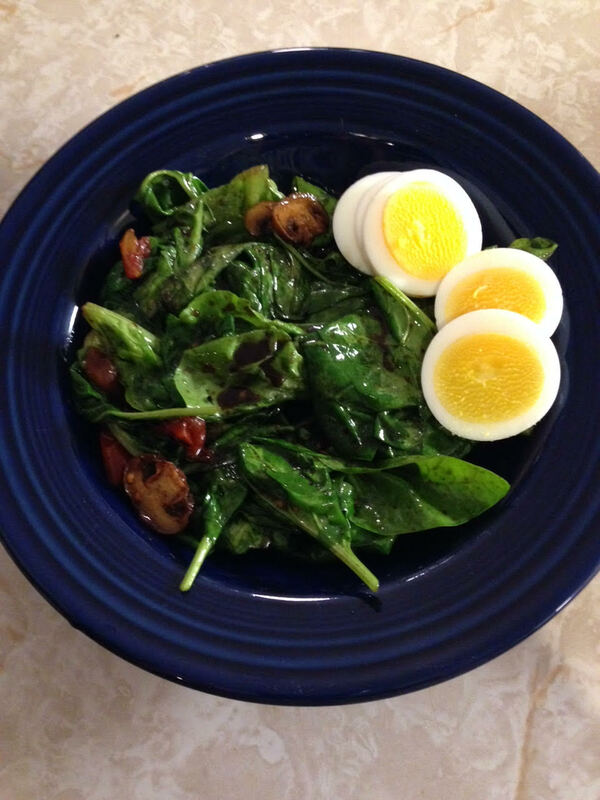 Place clean spinach in a large bowl. 2. Get your bacon going as directed above. Once the bacon is as crispy as you like, remove it from the pan with a slotted spatula and place it on top of the spinach. 3. Place prepped mushrooms in the pan with the bacon fat and fry on medium heat. 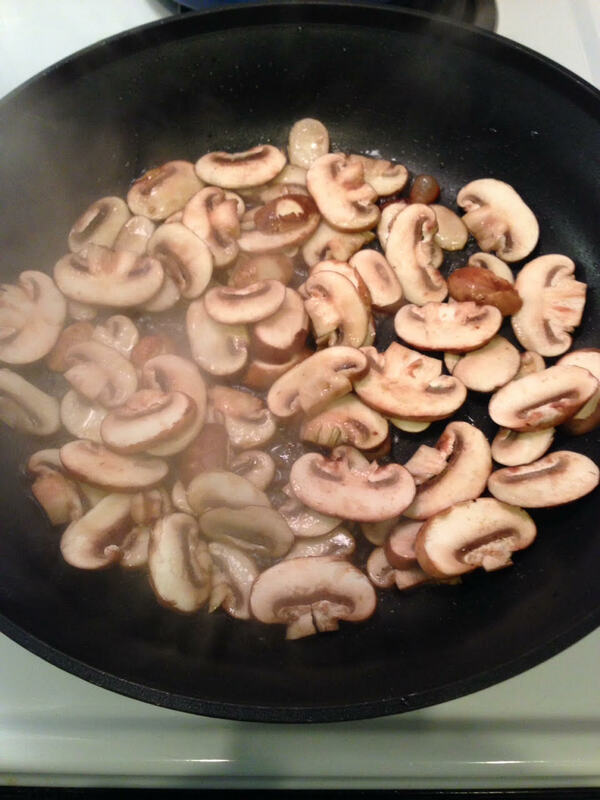 Allow the mushrooms to cook undisturbed a couple minutes before turning them over with a slotted spatula. Once they’ve cooked a couple minutes on the other side, scrape them onto the spinach along with any remaining pan drippings. 4. 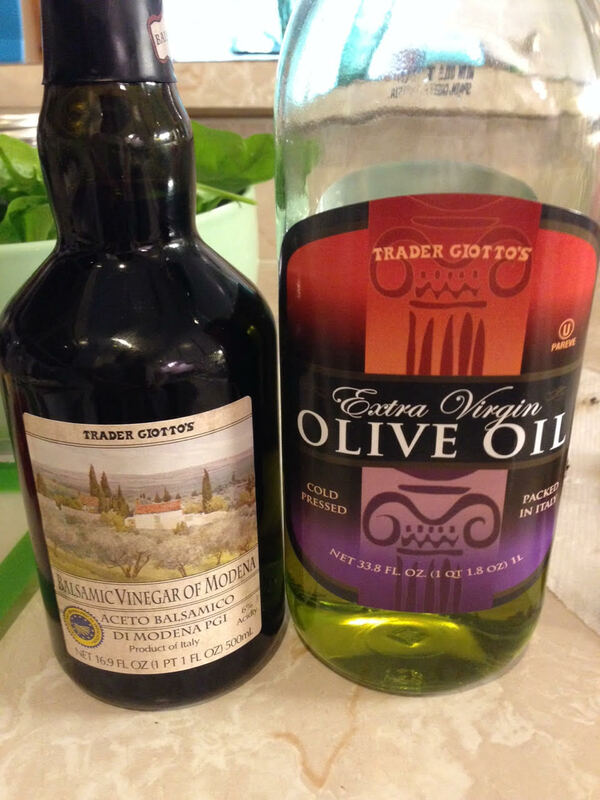 In a glass bowl or measuring cup, place all dressing ingredients except olive oil. Drizzle in olive oil while whisking constantly until it’s emulsified, about two minutes. 5. Place the pan back on the heat, about medium-low. Pour the dressing into the pan and let it warm up for about two minutes. 6. 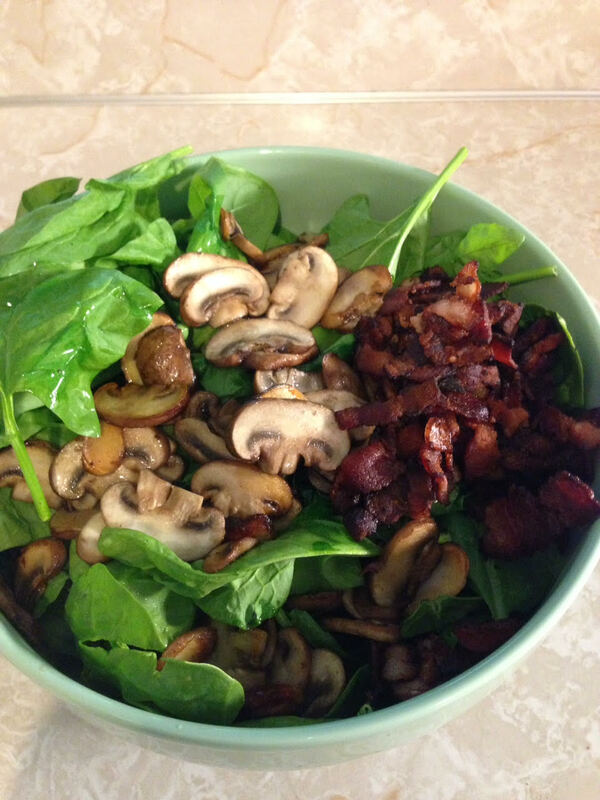 Drizzle the dressing from the pan directly onto the spinach, bacon and mushrooms. 7. Toss the salad well so everything is coated with the dressing. The more you toss, the more wilted the spinach becomes. Stop tossing when it looks good enough to eat. Serves about 4 as a side dish (or 2 hungry people as a main dish). 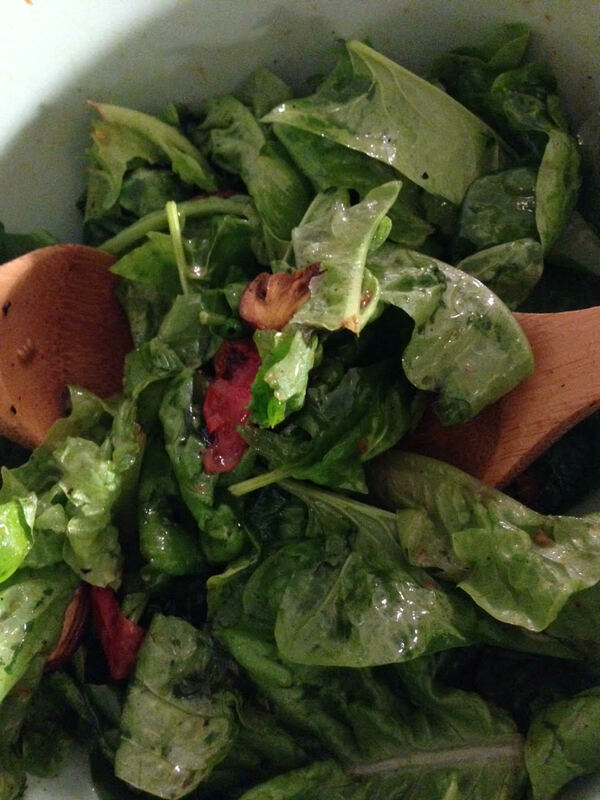 This entry was posted in Food, Healthy, Homemade, Ingredients, Recipes, Salad, Veggies, Whole food and tagged cremini mushrooms, DRESSING INGREDIENTS, salad, spinach leaves, veggies, whole food. Bookmark the permalink.